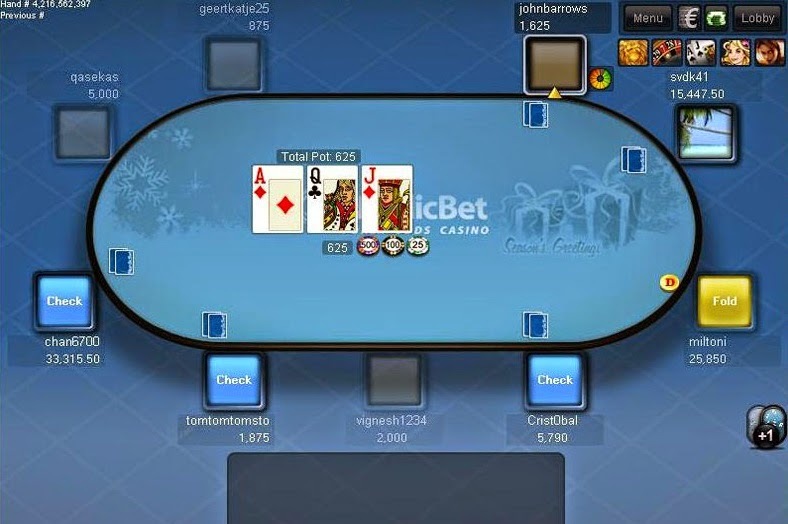 About Poker NordicBet Poker is one of the largest and most trusted poker rooms on the Microgaming network. It belongs to Nordic Gaming Group, a company that has been offering their services for over 10 years now. Simple graphics are kept in blue tonality and please the eye. The software interface is not the most attractive on the market but very reliable. The network focuses mostly on the game quality not on providing most sophisticated graphics. 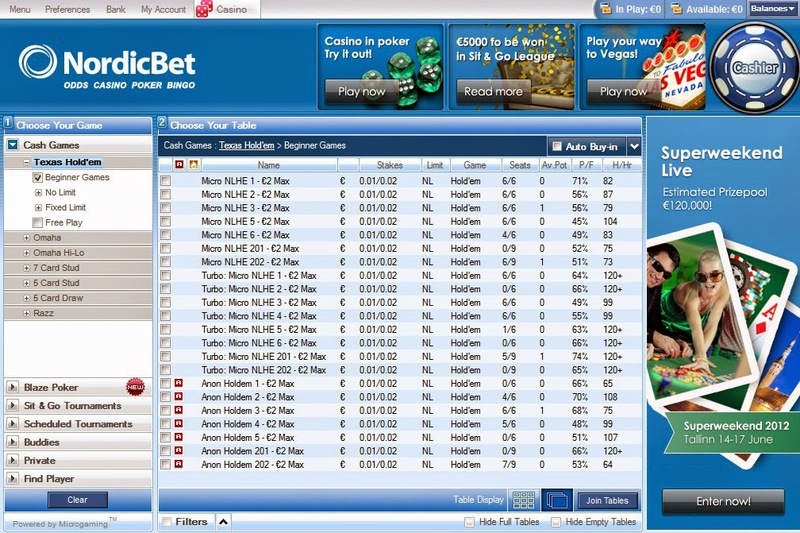 You are able to play 10 tables at once and use many help programs like Poker Tracker or Holdem Manager. NordicBet Poker runs many freerolls too like the exclusive “Freeroll King” series for existing customers or regular €500 New Player freeroll that is held every Wednesday and €500 Added New Player Turbo. NordicBet is a great choice for Scandinavian players mostly due to the fact they run a good variety of local and exclusive campaigns. 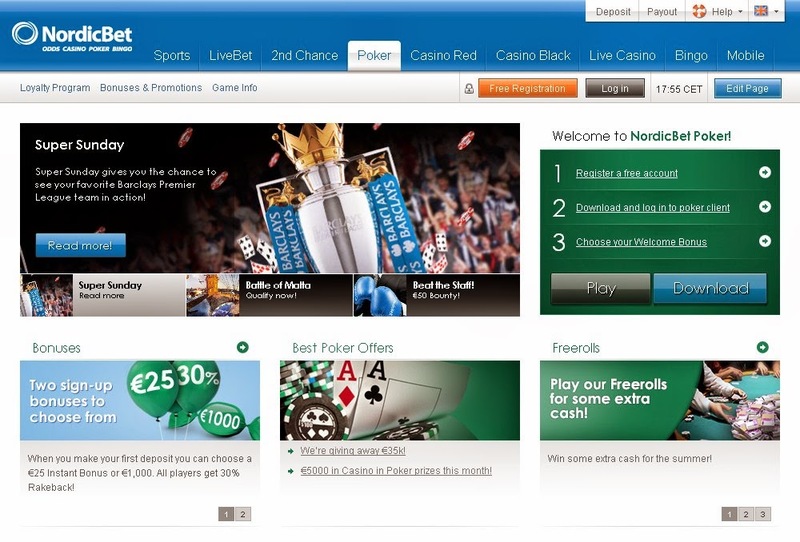 Poker Promotions and Bonus At NordicBet Poker customers have a choice – 2 bonuses, they can choose only one of them. The smaller bonus is 50% up to €25 Instant Cash and this means you get the money right away after you deposited and transferred the funds to poker client. Additionally your 30% rakeback is enabled. There is also bigger €1000 bonus based on any deposit – this bonus comes in one chunk and cannot be claimed partially. After deposit you have 60 days to earn 15 000 Poker Points. Once you’ve completed the mission, you contact support and your €1000 bonus gets credited and your 30% rakeback is enabled.